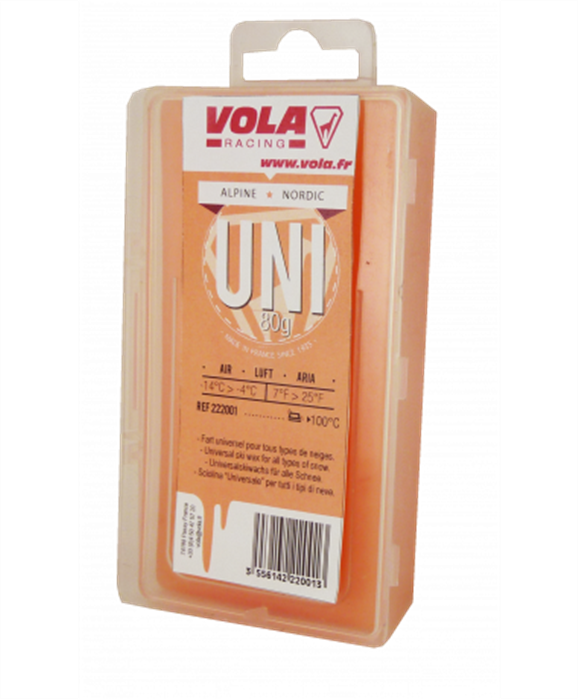 Vola Universal ski waxes are for all skiers from beginners to advanced who are looking for all round wax for use in any kind of snow. 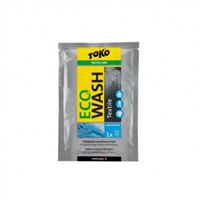 Ideally for air tempuature between -8C and +15C. 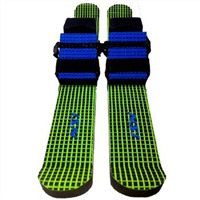 They are an efficient means of nourishing and maintaining ski bases. Clean and dry the base. 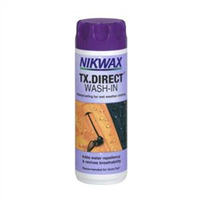 Apply some ski wax on the iron and rub over the base of the ski. Let it cool at least 15 minutes. Scrape the base completely with a plastic scraper. Brush with a nylon brush.